The stars at night are big and bright—Deep in the heart of Texas. 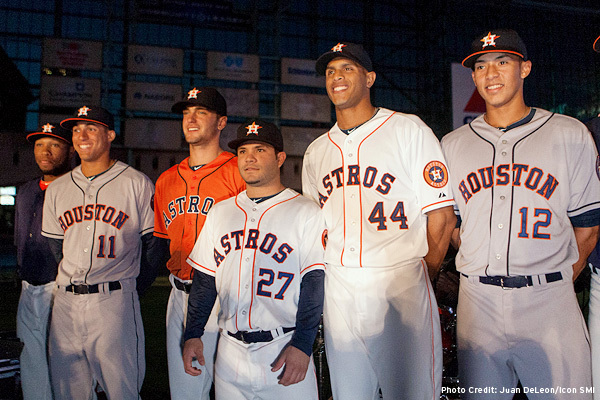 "The Astros unveiled their new logo, uniforms and color scheme on Friday night, with more than 5,000 fans and several players on hand to watch the team reveal its identity. The Astros will reach into the past by wearing uniforms with the blue-and orange color scheme that franchise donned on its uniforms from 1962-93." Hornets and Pelicans and Jazz, oh my!